Over the last few weeks, several people have commented that they thought I should be writing a beauty blog. I’ve tossed the idea around before, but always passed because I can’t really picture myself writing a typical beauty blog (and I still don’t). I thought about just doing a few posts on Tales From Sick and Twisted, but felt like talking hair goo was just too far off course from the rest of my topics. So here we are. First, a word about me and my background: I am not a professional esthetician or a scientist. I am an enthusiast who happens to be nerdy enough to want to read anything I can find on topics that interest me. At the end of this post, I will add a list of the sources I most frequently use. As I am not a professional, I obviously cannot provide professional advice. I can offer my perspective and reasoning, and point people in the direction of further information. 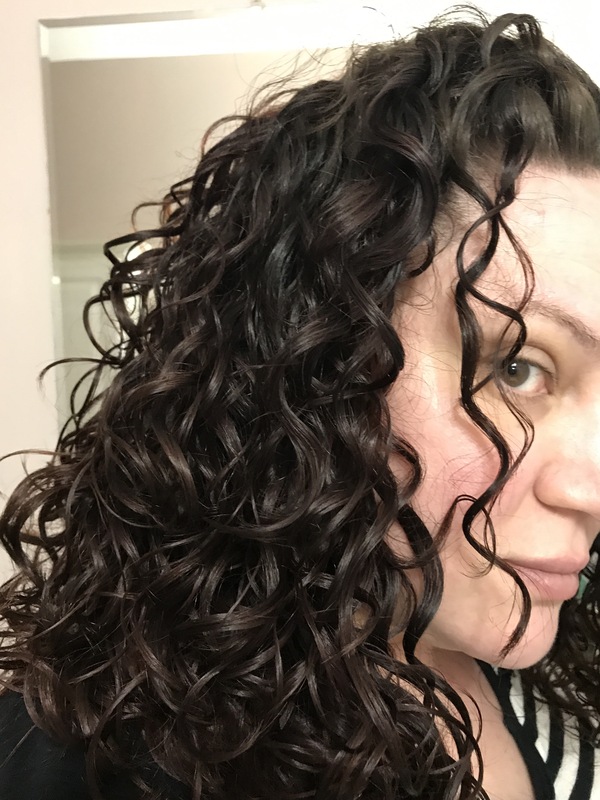 I was always a bit of a makeup and hair product junkie (not so much skincare), but my knowledge (and enthusiasm) really took off about 6 years ago, when I started learning more about how to care for my curly hair. A couple years later, I realized I probably needed to up my skincare game, because the stuff I was using when I was 15 just wasn’t cutting it anymore at 35. So that’s my story. I’m also including a recent picture, because I feel like if you’re going to trust me for hair or skin advice, you have the right to know what my own hair and skin look like. This is without any makeup or filters, so it’s about as honest as it gets. Overall, I don’t think I look too bad for someone less than 6 months shy of 40.